A Christmas tree rubber duck in green complete with lights and a star on top. Of course there is a traditional, yellow rubber duck all wrapped up in lights. And Dad Duck who is responsible for it all! 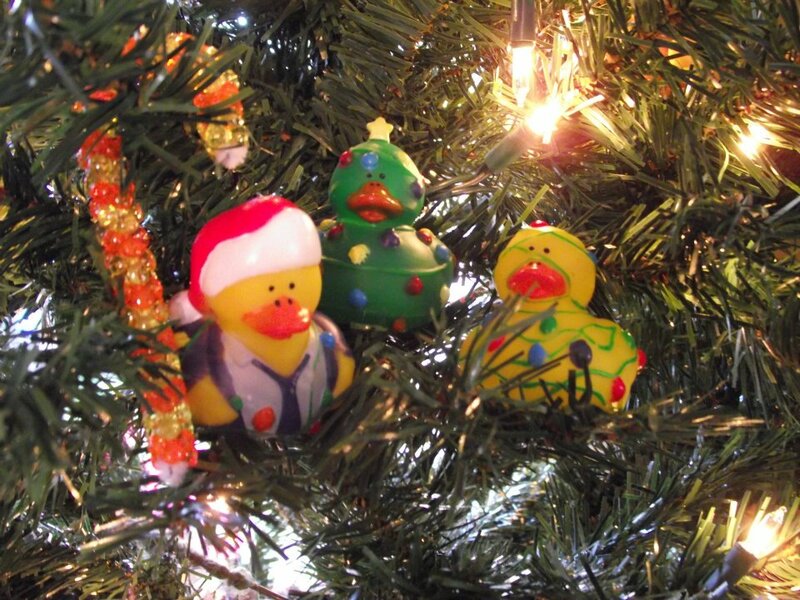 Three (3) Christmas Lights Rubber Ducks per unit as pictured.